CHECHESMITHNATION : Toke Makinwa Can Spell Beautiful. 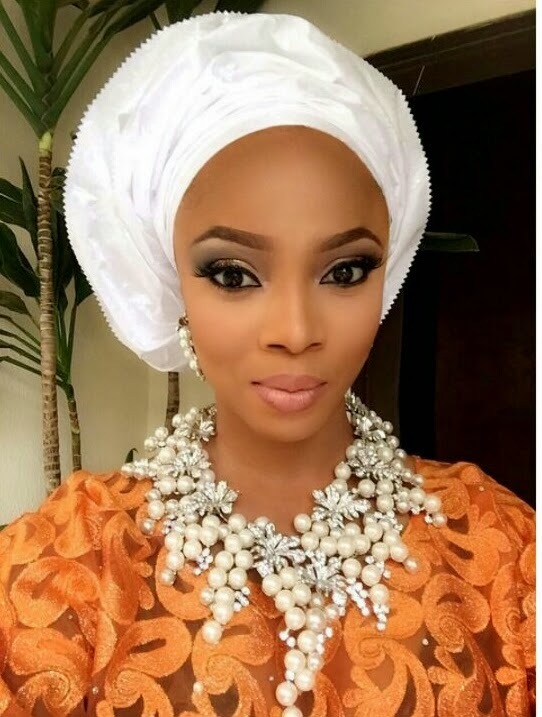 MultiMedia Personality,Toke Makinwa gorgeously slayed it in this orange iro and buba style. 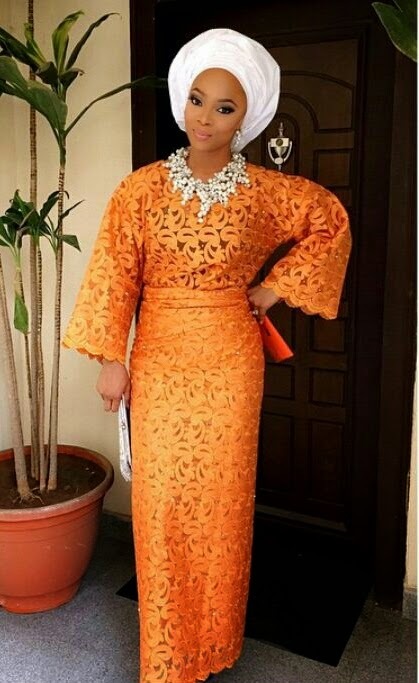 She rocked this look to a wedding, and I must say that besides the white gele,simple blade purse, pretty face well made up,....the neck piece is a 'jaw dropper' it's so so on point.